UC Berkeley ranked third in Crunchbase’s recent list of the top universities that churn out entrepreneurs. With its extensive resources, funding, startup programs and diverse student body, UC Berkeley is ideal for fostering the next generation of burgeoning pioneers. A startup doesn’t have to originate from a groundbreaking, globally oriented innovation — it can be derived from a hobby or personal necessity. The startups and organizations featured below are just a few examples of what is possible in the Berkeley community. All of them began, or are beginning, their first phases here at UC Berkeley — and all of them have been initiated by ordinary students. As you head into a new fall semester, dare to dream big. Your fellow Bears have proved that just about anything is possible. “Be open to live in contradiction and the beauty of Berkeley and the insanity of it,” said Komal Ahmad, CEO and co-founder of Feeding Forward. Image courtesy of Feeding Forward. 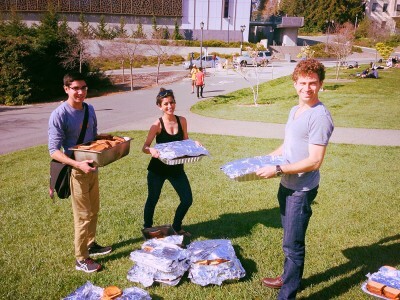 BareAbundance began as a method for redistributing leftovers from Cal Dining at a local level and eventually developed into Feeding Forward, a mobile interface that connects food services with surplus food to organizations and charities that could use it. Feeding Forward is now a part of SkyDeck, UC Berkeley’s startup launchpad. The program has given space to Feeding Forward’s expanding team, along with access to professionals who serve as advisers. Ahmad, however, never had the intention of turning her vision of alleviating American hunger into a company. According to Ahmad, winning $4,000 from [email protected] was critical to launching BareAbundance. “Do it,” said Mark Mullan, founder of Mark Mullan Events. “Grab the reins, and just do it.” Image courtesy of Mark Mullan Events. 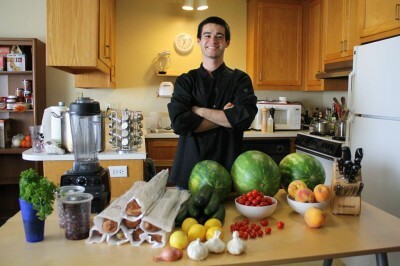 Mark Mullan, a UC Berkeley senior studying molecular and cell biology, has established and expanded his business entirely on his own — without a culinary pedigree or any formal knowledge of the business world. Despite having seven years of experience in the food industry — from busing and waiting on tables to serving as a line cook — Mullan learned most of cooking skills from watching YouTube videos. His company, Mark Mullan Events, was created earlier this year as a catering service and expanded over the past summer from hosting one end-of-the-year banquet to eight events over the course of a month and a half. The primary source of his expansion was Craigslist and word of mouth. Preparing for a typical event involves days of cooking in advance, which Mullan does all by himself, despite having the help of servers and photographers at his events. The idea of starting his own catering company arose after he gave cooking lessons — Mullan thought, why not make some side money doing what you love? “1. Don’t let people tell you no,” said Connor Landgraf, co-founder of Eko Devices. “It’s all about your dedication. 2. Find people who are also passionate about what you do, and work more with them.” Image courtesy of Eko Devices. Hooktheory, Pop Up Archive and Eko Devices all began as ideas inspired within a structured academic setting. The former two combine music and media to bring music theory, learning and records into the digital era. The latter, co-founded by former ASUC president Connor Landgraf, designs next-generation medical devices. “It was first in a class here that we were given the challenge and were forced to come up with the answers,” Landgraf said. The creators of Pop-Up Archive, on the other hand, worked on the idea as part of their master’s thesis. “We were inspired by our grad work, having come upon analog records that needed to be opened up to the digital world,” said Anne Wootton, a former graduate student at the UC Berkeley School of Information and a co-founder of Pop-Up Archive. 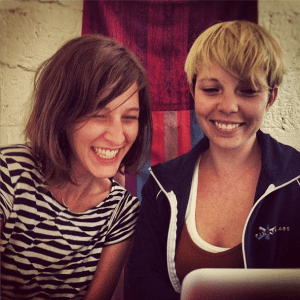 For Hooktheory, teaching a DeCal on the theory of popular music and creating tools to teach the class eventually led to the creation of a website. Wootton said that at the School of Information, she and his co-workers were surrounded by the spirit of entrepreneurship. 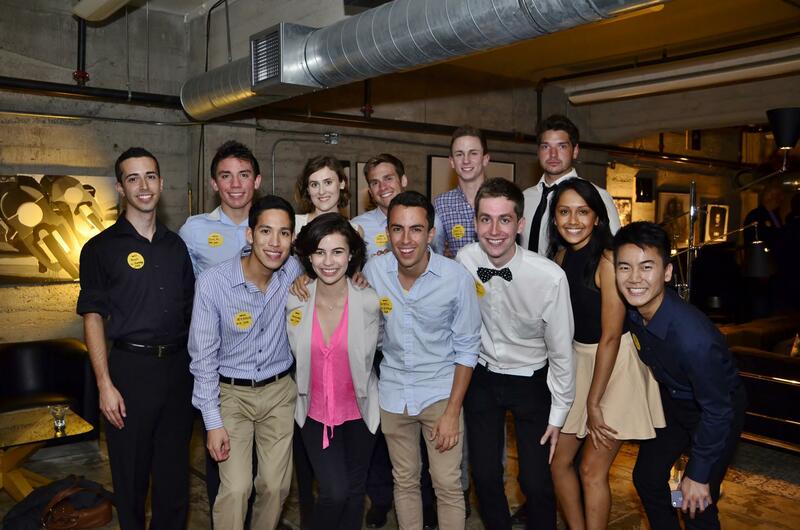 O4B founders at first dot429 networking event in the city last Fall semester. “Find what you’re passionate about or interested in, and find a club that caters to it,” said Sean Drimmel, co-founder of O4B. “If no such club exists, then you know what needs to be done! Find a mentor on campus.” Image courtesy of O4B. Operating in a straight and male-dominated industry, LGBT Haas School of Business students Sean Drimmel and Jeff Li said they felt there wasn’t yet a space that combined their two worlds. 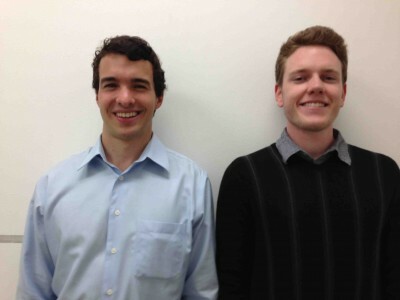 The two entrepreneurs created Out for Business at Berkeley (O4B), a campus organization that partnered with dot429, a national LGBT professional network, to connect LGBT Haas students with LGBT professionals in the Bay Area and other campus clubs. Li said he used to think that being successful in business and finance meant hiding his true identity and blending in with everyone else. “Go for it,” said David Carlton, co-founder of Hooktheory. Image courtesy of SkyDeck. UC Berkeley alumni Anson Tsui and Steven Hsiao were working until 4 a.m. every night during their last semester just to get their then-new late-night delivery service, PhoMeNow, off the ground. Tsui and Hsiao eventually went on to establish Munchy Munchy Hippos and Late Night Option, all late-night food delivery startups. 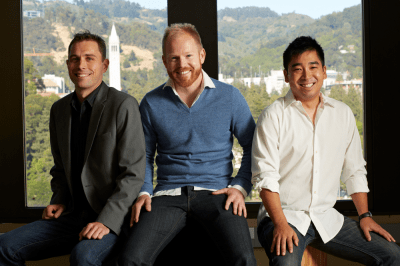 Their latest project — Spoon Rocket — is taking off with the help of Y-Combinator, one of the country’s largest startup incubators. Unlike their previous companies, Spoon Rocket will cater a healthier menu with lower costs and a more efficient delivery model. But their journey to success never was smooth, and Tsui warns it’s not easy. 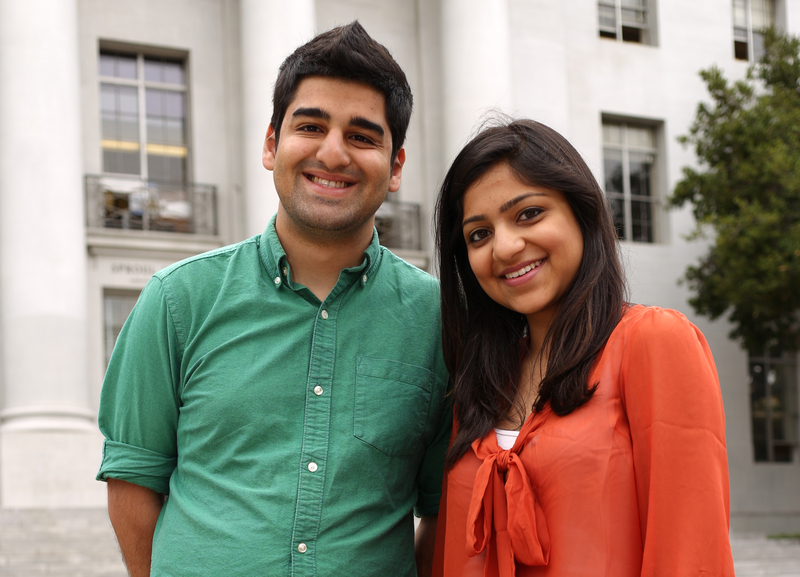 UC Berkeley senior Haleemah Qureshi is set on leaving Berkeley with a legacy. Over the summer, she and a friend came up with [email protected], which enters its inaugural semester this year. 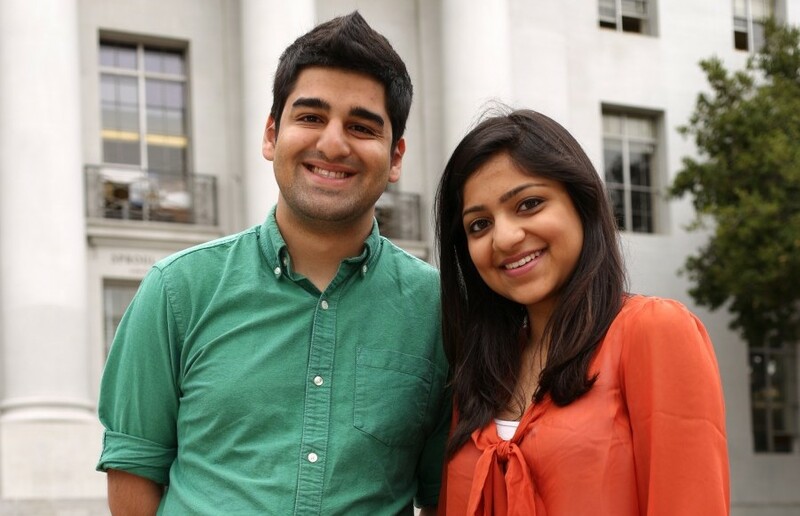 [email protected] would provide a virtual platform that allows Berkeley students to submit or comment on ideas to improve the university life. The two felt that although the school provides plenty of academic knowledge and financial resources for new startups, there isn’t much support for getting started. That’s where [email protected] comes in — to provide a discussion forum for engaging with fellow students to bounce ideas. “Get interdisciplinary,” said Bailey Smith, co-founder of Pop Up Archive. “There’s a lot of resources outside your own department that are really great.” Image courtesy of Pop Up Archive. “Go for it. Do something you’re passionate about. Work hard. You will fail: Don’t let that deter you, keep working.” These are themes that all of the founders of the above startups and organizations have mentioned repeatedly in their interviews. Entrepreneurship is not in waiting around for resources to come to you — it’s in taking the initiative to lead and participate in Berkeley’s many opportunities. Programs like Big [email protected], an annual competition that awards funding to innovative proposals, or SkyDeck are just a few of the offerings that allow prospective leaders to attain resources and funds at UC Berkeley.